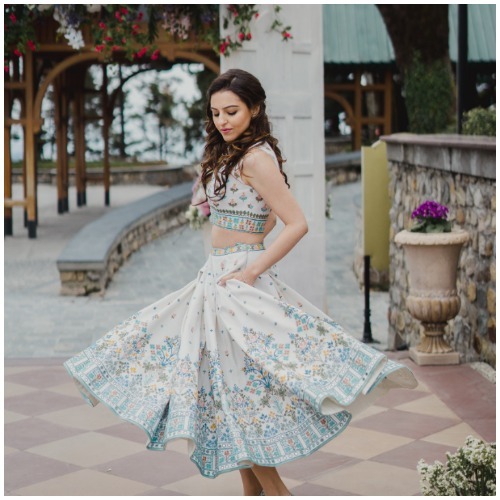 How romantic does this sound - getting married to your childhood sweetheart in the sweeping views of the hills of Mussoorie, in a lehenga designed by a globally acclaimed fashion designer? 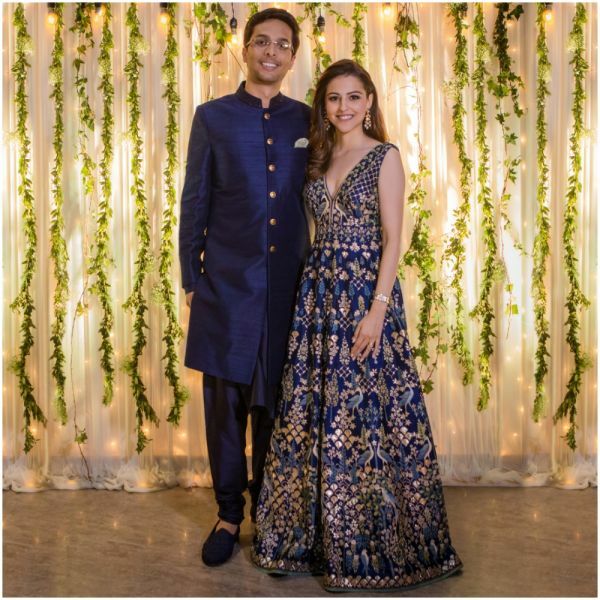 Ask Benaisha Kharas, who tied the knot with designer Anita Dongre's son Yash Dongre in an intimate ceremony with the Himalayas in the backdrop. Yash and Benaisha met 10 years back through common friends and their SAT tutor. Even with their fair share of ups and downs in the relationship, they managed to stick together. 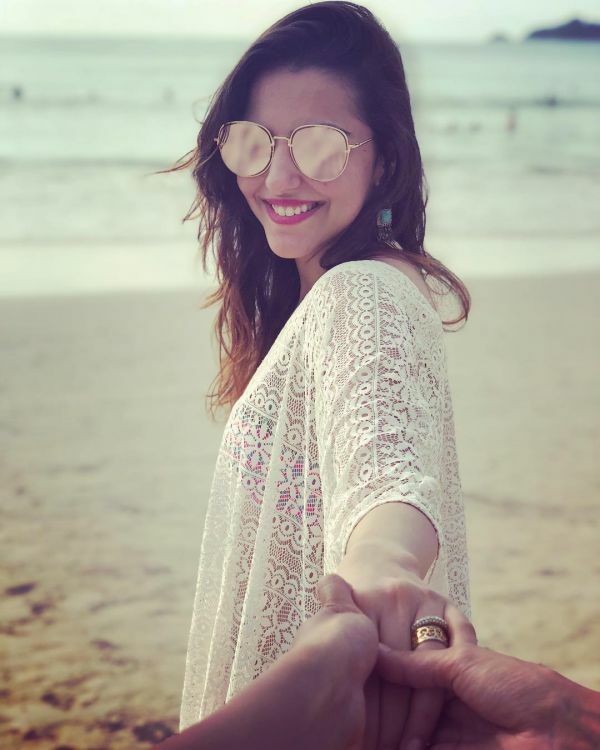 It was on a trip to Malibu, that Yash popped the question. He found a spot on a hill with mesmerising views and went down on his knee. The bride made a mood board of the decor that she wanted in her wedding and the groom took care of the guest list. 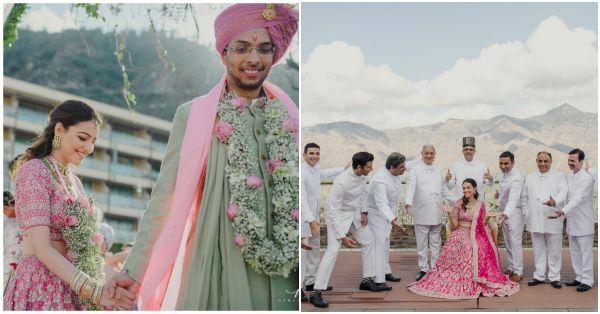 The couple wanted their wedding to be a close-knit affair with only close friends and family in attendance. 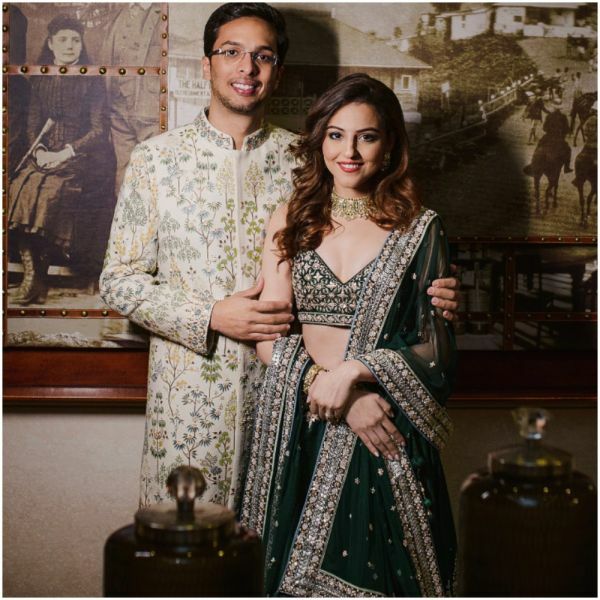 They chose the J W Marriott Mussoorie Walnut Grove Resort And Spa, nestled in the Shivalik mountains as the perfect location to tie the knot. It started with a welcome dinner at the wedding venue and was followed by a carnival themed brunch the next day. The celebrations were marked by life-sized game of snake and ladder, hopscotch and beer pong. The venue also had mehndi counters, palmists, astrologers, photo booths and candy and popcorn counters for guests. A fun filled sangeet ceremony was organised on the same evening. The bride wore a white cropped skirt and top with floral designs in foam green and blue. 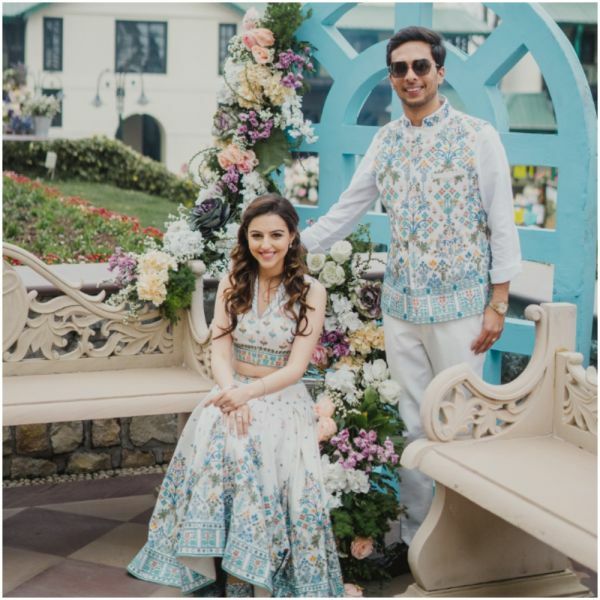 The groom twinned with the bride in a bandhgala in the same print paired with white pants. Both the outfits were undoubtedly from the Anita Dongre label. 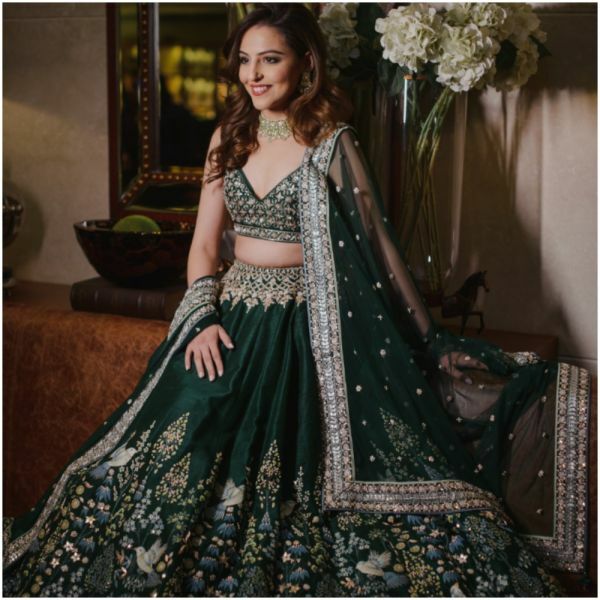 For sangeet, the bride wore an emerald green lehenga from Anita Dongre’s pichhwai collection and the groom wore a hand-painted pichhwai sherwani with a layered ivory kurta and nature motifs. 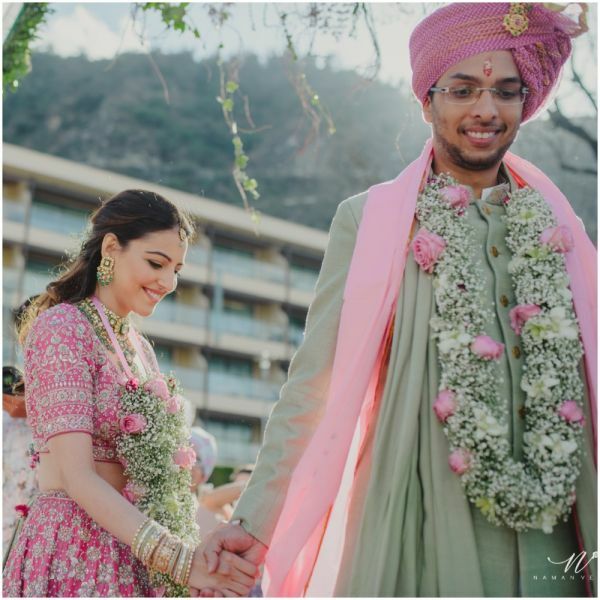 This beautiful coming together of the Hindu and Zoroastrian faiths saw the bride walking down the aisle holding her father’s hand. Minimalistic yet enticing, the wedding ceremony radiated the spring-summer vibes with the rustic decor and the gorgeous flower arrangement. Ever since she was a little girl, Benaisha had wanted to wear pink on her big day. 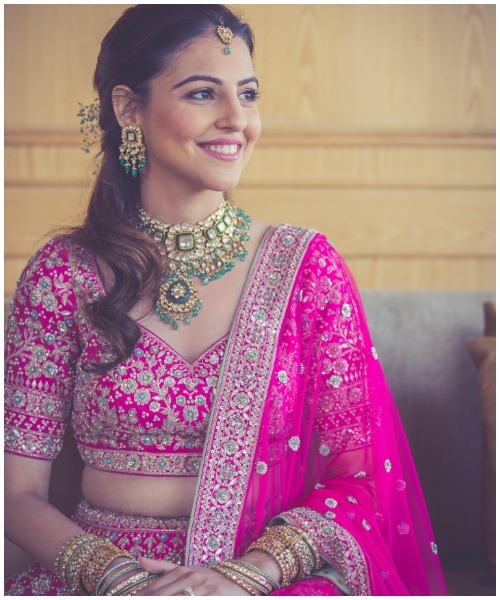 She chose Anita Dongre’s hot pink gota patti lehenga embellished with pearls, zardosi and sequins. The dupatta had her favourite quote embroidered on it. 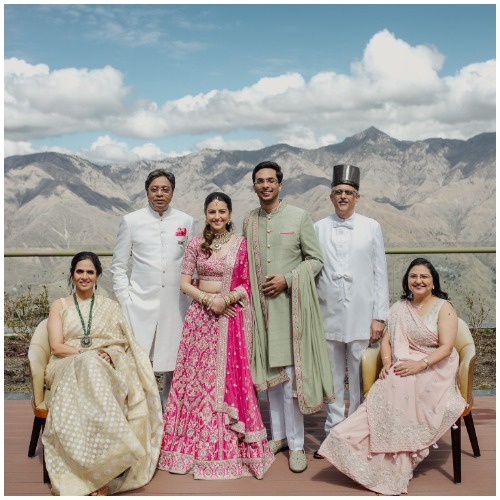 Yash wore a sage green sherwani and added a pink safa and pocket square to complete the look. 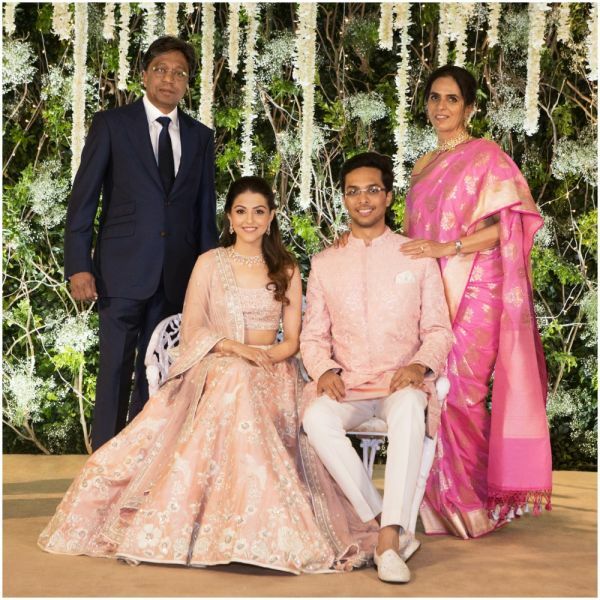 The couple threw two receptions in Mumbai in the next two days for their extended family and friends. 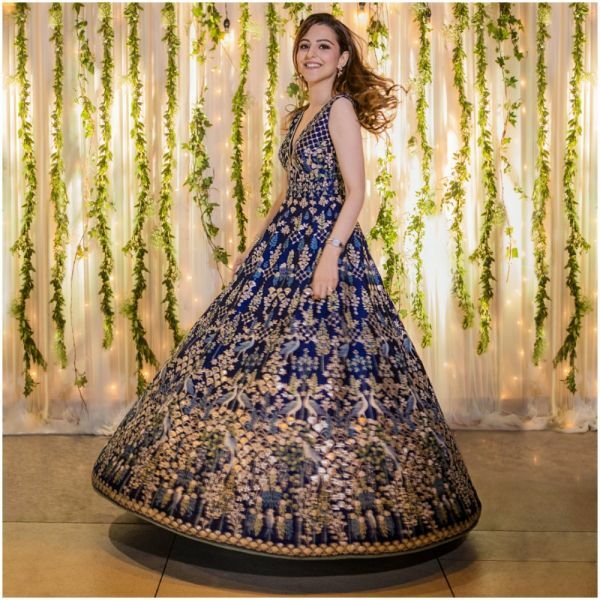 The first reception was held in Mumbai’s Blue Sea banquet hall and the second reception was hosted in the traditional Parsi agiary. Benaisha wore an ink blue hand painted pichhwai gown. Yash complemented the look with a blue silk sherwani. 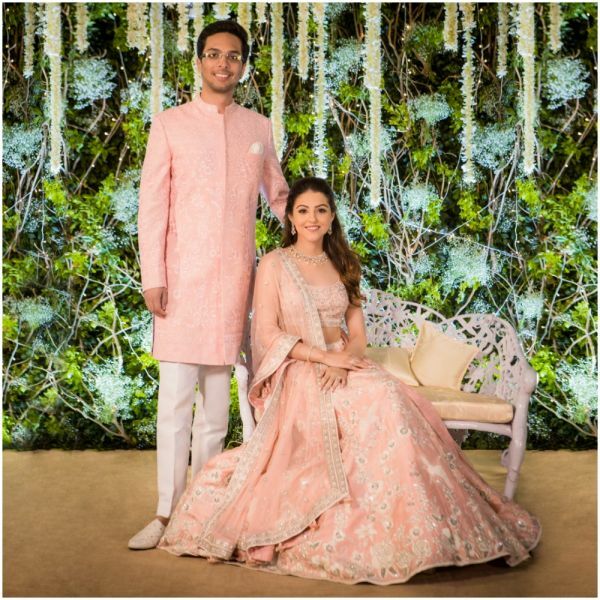 The bride wore a blush pink lehenga encrusted with parsi gara motifs. Yash wore a baby pink sherwani with resham embroidery work. Both, the bride and the groom’s outfit featured embroidered flowers and birds. Well, now that are the advantages that come with having an ace designer as your mother!